3. White anchor stripe 3/4 sleeve top, $43, Joules | How can you resist stripes + an anchor? 4. Grey lobster sweatshirt, $69, Joules | I just bought this and I hope it fits because the bigger size is sold out already. 7. That's moor like it sweater, $45, Modcloth | Don't you love this shade of blue? So much to love here. 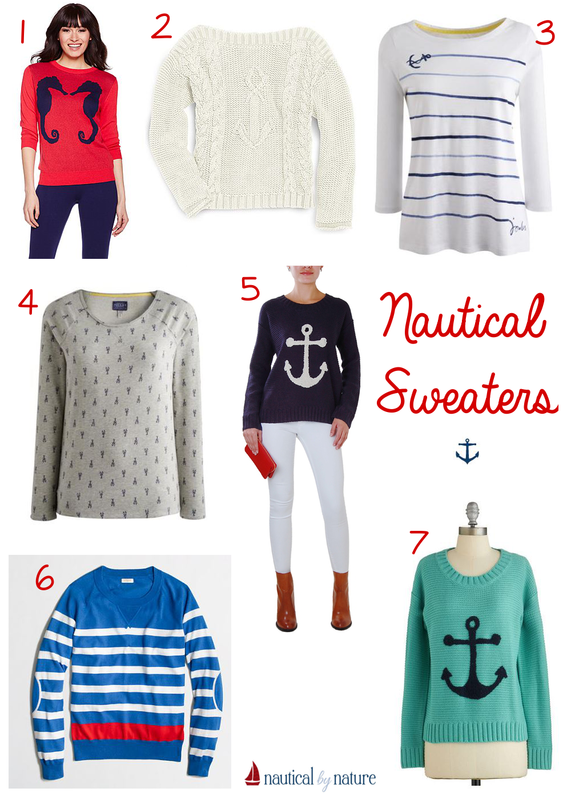 I ADORE that Joules one, and cannot resist a good fisherman sweater, so I have my eye on the Sperry one as well...! I really love the Joules and the Sperry sweater! Lovely picks! I ordered the lobster sweatshirt and I can't wait to see it in person!